Want to stop Mersey bridge tolls at Runcorn? 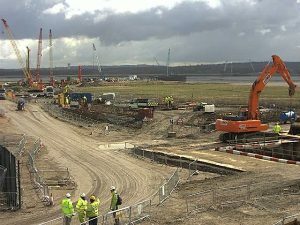 The new road bridge over the Mersey is under construction (live camera view) next to the current Silver Jubilee Bridge in Runcorn. Runcorn Bridge has long been an area of traffic delays and congestion so we are all delighted, however when the new bridge is finished, the Government will impose road tolls on both bridges. 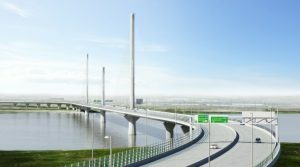 The new Mersey Bridge tolls will be imposed on all Warrington drivers using the current Silver Jubilee bridge and new Mersey Gateway Crossing. It will cost £2 each way, and the so-called ‘discount pass’ for Warrington drivers is £90 per month – over £1,000 per year. Is this fair on Warrington drivers? Introducing tolls on the Mersey Bridges will hit people who drive to work across the Mersey, have hospital appointments or who are visiting friends and family. After effective lobbying by the Members of Parliament in Halton, in July 2014 Chancellor George Osborne announced that the Government would scrap tolls for Halton residents entirely. Government Ministers have also scrapped road tolls on a major new road scheme on the A14 in the South of England. It’s not fair that drivers in the North West should pay Mersey bridge tolls when London and the South already gets more than its fair share of infrastructure investment. Warrington residents are also concerned that the introduction of these tolls will cause increased traffic chaos in the town centre as many motorists seek to avoid the new charges. If you think this is unfair why not sign the petition to call for these tolls to be scrapped; then take 30 seconds to share the petition with family, friends, neighbours, work colleagues, etc. The more the merrier! This article was added on Tuesday, March 24th, 2015 at 11:25 am and is categorised under Cheshire News, General News, Runcorn News, Warrington News. Both comments and pings are currently closed. Error: Error validating access token: Session has expired on Saturday, 09-Mar-19 13:12:58 PST. The current time is Wednesday, 24-Apr-19 20:00:59 PDT.